Juicing has been a key element of the Hallelujah Diet throughout its entire 25 years and continues to be a foundational aspect today. In fact, Rev. George Malkmus rid himself of cancer by juicing and following the primarily raw plant-based Genesis 1:29 diet. 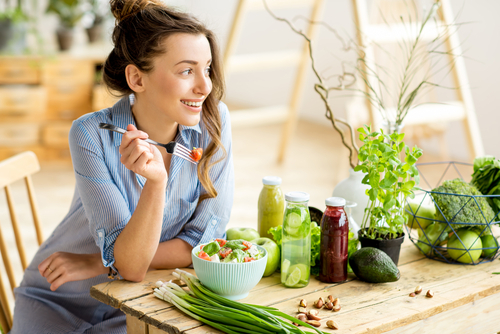 This month, we put together an informative webinar 'Juicing – The Secret to Ultimate Health' hosted by our very own Chief of Education, Ann Malkmus. In today's ever-growing health conscious market, there are new products advertised daily. As Ann explained, though juicing has become popularized, there are some companies portraying blenders in a similar light as juicers. 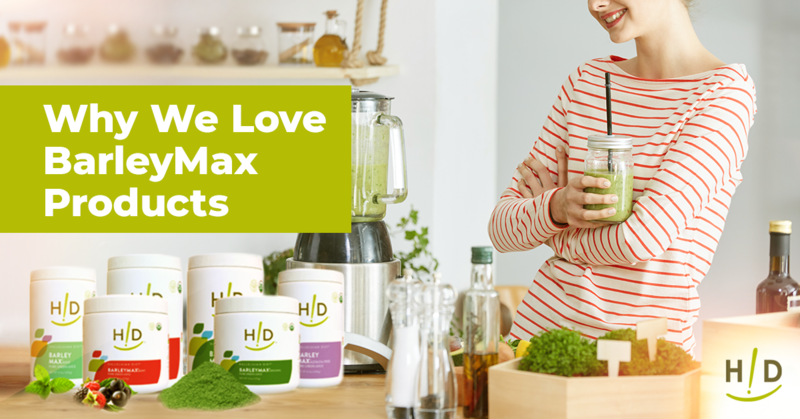 While marketing may be selling a blender that can perform all the same tricks and produce the same results as a blender, it's just not the same. "The truth of the matter is that there are two different experiences here," said Ann. "One of them is juicing, one of them is blending." Blenders typically make smoothies, by blending whole fruits and vegetables. Though the fiber is continuously broken down in the blending process, it is still there when the smoothie is poured into a glass. With a juicer however, the liquid content of whole foods is extracted and the fiber is then discarded. As Ann explained, though fiber is important, it is not the objective of juicing. On the Hallelujah Diet, the juice is to be consumed alone and the fiber is to be consumed later. The importance of understanding the difference between juicing and blending, as well as the distinction between the blender and the juicer, was a key point that Ann wanted viewers to take away. Juicing can give you a burst of energy, fueling you for the day. The next question of course, is which is better, juicing or blending? Ann began by explaining the various advantages of juicing. First, this process provides our bodies with nutrients so concentrated, they can immediately nourish and fuel our cells. This is great because our bodies are constantly wearing themselves down and as such, in order for us to create brand-new cells we have to continuously nourish them, said Ann. Using the metaphor of trying to drive your car without gasoline, she emphasized the importance of constantly providing our bodies with nutrition so that it can rebuild cell by cell. 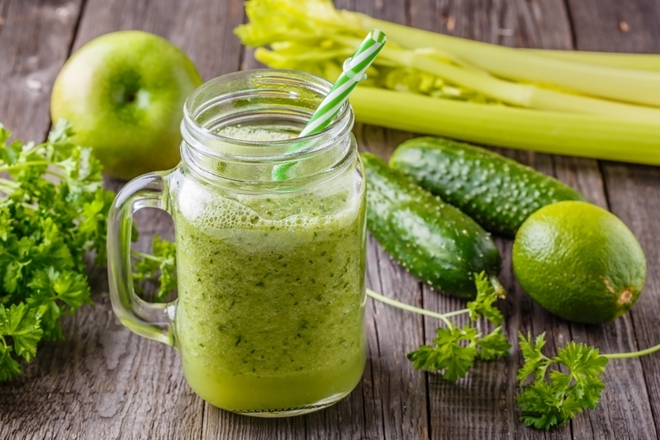 Another advantage of juicing is that it doesn't take a lot of energy for your body to process and assimilate the juicing, giving the rest of your body a break. Moreover, for individuals with digestive distress, heartburn or weak digestive tracks, fresh juices are a great benefit. Juicing vegetables – not fruits – is very important, every day. It's better to eat your fruits and juice your vegetables, as our experts at Hallelujah Diet will tell you. One reason to juice vegetables is because they provide enzymes, which are essential for digesting food and acting as a catalyst for the chemical reactions our bodies need to live. 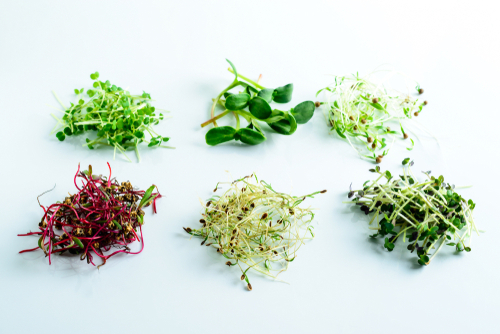 They help to repair and restore our tissues, stimulate the brain and provide energy for our cells. "Your cells are like sponges," said Ann. "But we want to make sure those sponges are filled with the right kind of nutrients." Juice your vegetables and eat your fruits. Juices are essentially a liquid multi-vitamin, explained Ann. 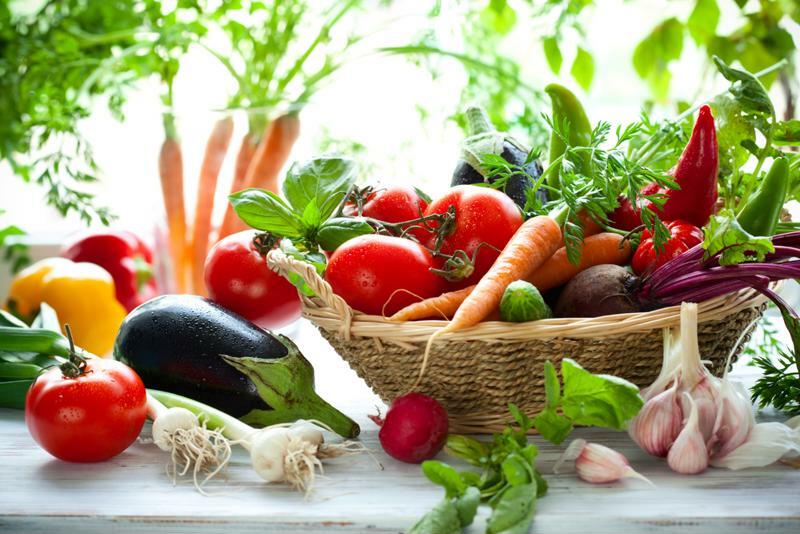 It's one of the simplest ways to get your 10 plus servings of vegetables each day. Juicing also helps your body hold on to its supply of digestive enzymes as digesting juice doesn't require extensive energy. Juicing carrots provide you with beta carotene. Green juicing gives you potassium. 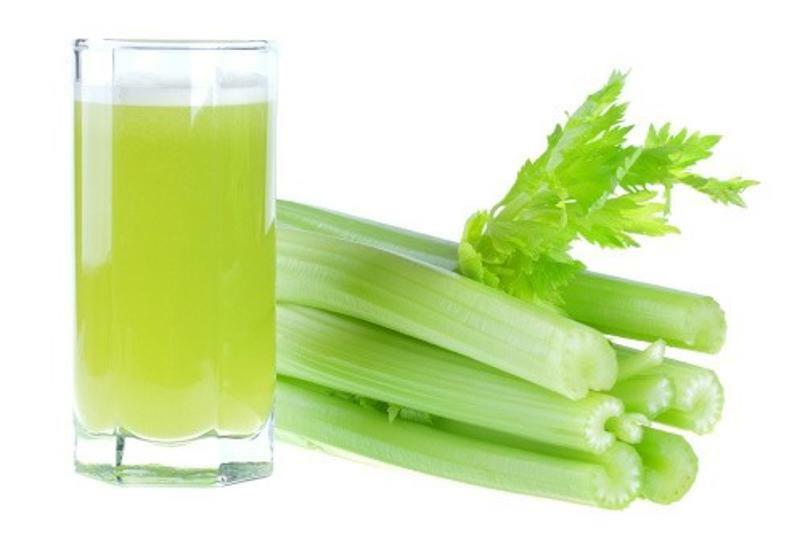 Juicing celery can provide you with sodium. When you juice, on a consistent, regular basis, your body is healing from the inside out. As a result, your skin will begin to glow. "If you want to have that glow, that inner look of peace, tranquility and health, I'll tell you what," said Ann. "You will save a lot of money doing this rather than going to those places where you'll spend a lot of money on a temporary glow. This one is a lot more permanent." Green juice can provide you with potassium. In today's culture, nearly every social media article and television or magazine advertisement is offering some sort of detox or cleanse. Often, these are not only expensive, but heavily involved and include extreme measures. For a cleanse and detoxification that actually works, one that is not painful, use juicing. The raw juice that you consume can actually cleanse your body from within, in the proper way. Best of all, it improves your immune system. 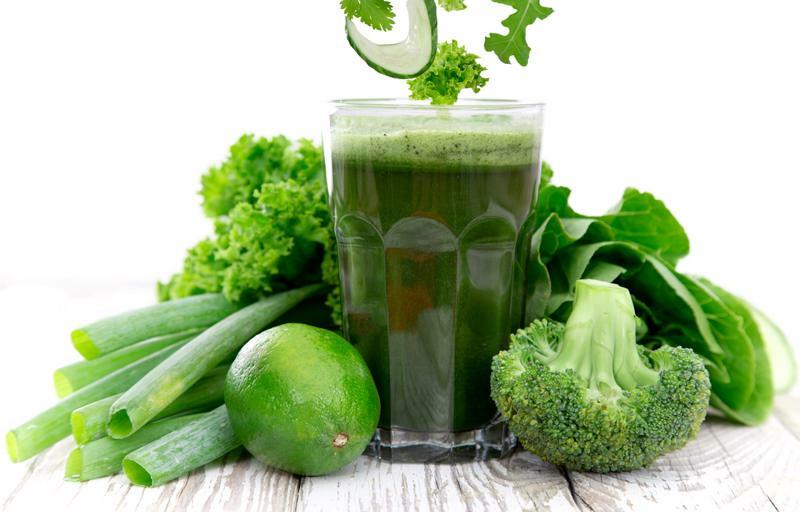 Juicing gives your cells the time to repair themselves and detoxify so that the can regain strength to help better fight disease and infection. Many people wonder which kind of juicer to get. As Paul Malkmus explained, the type of juicer that you have will play a role in how many enzymes are lost during the process. The most important thing is that if you have a juicer, you need to use it. He noted that it's important not to be discouraged even if your juicer isn't the highest quality. Just take it out, dust it off and start juicing! For more tips on making the perfect juices, finding the best recipe books and purchasing your first – or third – juicer, download last week's live broadcast right here. You'll also enjoy listening to real juicing testimonies and the answers to webinar attendee questions. Can you do a segment on gaining weight. Some of the elderly need to put on a few pounds. And they would like to do it in a healthy way. We realize we are a minority, but still we are out here. Yes I agree. I’ve been trying to put on weight since I was diagnosed with RA @ 16. I weighed 115 then & dropped to 96 lbs & now at 52 I struggle to get past 94 to 96lbs! Great blog…. And the Webinar Ann gave was soooo informative. Love reinforcing the importance between juicing and blending. Makes it so clear the advantages to having a good stable juicer. Thanks Ann for all the great information and encouragement to get on the right track. Awesome article on the difference between jucing and blending!